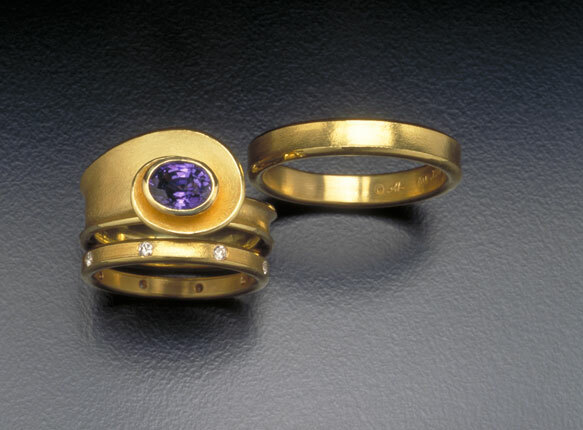 18k gold matte texture ring with burnished edges and polished interior, bezel set with 5x6mm purple sapphire. 18k gold texured 2.5mm wide 8 diamond band with 0.12ct TW white diamonds. 18k gold textured 3.25mm wide thick man’s band.